The district of Chatra, gateway of Jharkhand (Chotanagpur) is abundant in scenic picnic spots and rich in fountains, water falls and in flora & fauna. The enchanting beauty of its forests has everything that a nature lover would ever want . One can see an infinite variety of wild life and greenery. The premises of goddess Bhadrakali temple of itkhori is the junction of 3 calls Hinduism Buddhism and Jainism on the bank of river Buxar and Mohanti at Chatra district in Jharkhand state supernatural extremes of different cults have been flooring on the holy land since Prehistoric Era for the Sanatan followers the palace has been the centre point of Siddha Peeth of goddess Bhadrakali and Sahastra Shivling on the other side this is the holy place of Buddhist for meditation and solvation as the princess Siddharth who was in search of peace got this here to take him back to Royal Palace at Lumbini but she could not become successful as Siddharth continued his meditation as per history and it is said that she could note divert his meditation and determination grandmother had a word it which means her son is lost here in this natural beauty and pious place later on this word modified as it theory according to gain followers this is the birthplace of 10th this girl named Lord sheetalnath Swami in ancient time Saint Megha made this place Siddha Peeth by the virtue of his spiritual power the story of the exile of Lord Ram and agyatvas of Pandavas are also related with the temple of goddess Bhadrakali from archaeological point of view this is Temple premises is having it’s Supernatural importance many archaeological remains have been formed during the excavation by the archaeological department of India in the session 2011 12 and 2012-13 archaeological department of India has also found the remains of temples and Buddhist monasteries of 9th and 10th centuries the Demons have been preserved in the museum of Bhadrakali Temple premises the remains of Ancient Temple and statue are the evidence of one piece of stone cutting work which are made of sand stone an essayist black stone which describe it’s glorious history presently the Bhadrakali Temple Management Committee is trying it’s best to glorify the history of this Temple premises. Kolhua hill lies about 6 miles south east of Hunterganj. At hunterganj one has to cross the lilangen river which is now bridged and jeep or walk through the uneven track to the foot of hill. The height of the hill is 1,575 feet and from the top one can find an excellent view. The top of the hill is quite distinctive and is known as ” Akash Lochan”(Sky Eye). There are some ancient temples, the most important of which is a temple of ‘ Kali’ known as ‘Kauleshwari Devi’. Kauleswari Hill at hunterganj Chatra Jharkhand is 1750 feet high from the sea level. This Temple premises of goddess Kauleswari is famous since the vedic Period. There is convention of Sanatan, Jainism and Buddhism over the top of Kauleswari hill, which is also known as “Kolhua Hill”.During Mahabharat period it was the capital of king Virat. The king Virat has established the structure of goddess Kauleswari , since then only, the Temple premises has become the centre of pilgrim of Sanatan Dharm. The story of this place is also mentioned in epic and Puranas. The Sanatan(Hindu) devotees have been performing rituals( Sanskar) like Mundan Sanskar ( haircut), Marriage, Offering worship and wish.For Buddhist Kauleswari Hill is the sacred place of meditation and salvation of Lord Buddha. Here there is a place named Mondwa Mondai where the Buddhist also perform ritual of salvation by donating their nails and hair. Thousands of of Buddhist visit here for offering such rituals. Many Buddhist structure are engraved on the Cliff rock which are having its archaeological and historical importance and proves its relation with Lord Buddha. There is a sign that Lord both had also visited this place.Kauleswari Hill is also Important for Jains because it is said that this is the spiritual practice centre of 10th Tirthkar “Swami sheetalnath”. The Jains have constructed a huge and beautiful temple at Kauleswari Hill and they have set many structure of Lord Mahavir Swami. This place has also become the pilgrim Centre for Jains. It is an attractive beauty spot of Chatra situated on the north-east at the distance of 26 kms. It is to be travelled through a ‘Katcha’ fair weather road via village Kolhaiya,.There is a big reservoir of water at foot. It is famous for the image of Goddess Bhagwati. Here one can enjoy the scenic beauty of the gorgeous water fall forgetting the worries of life. Tamasin has a break up of ‘tamasin’ which means ‘darkness prevails’. This area is full of mixed forest having high trees making the area dark even in the daylight .Tamasin is mainly famous for a very beautiful waterfall which is awaiting the due love of the tourists.This are deserves a place on the tourist map of India . It is also another important beauty spot of Chatra situated on the North at the distance of 12 kms.of which 10 kms. can be covered by vehicle and the rest two kms. is a foot track. The road is Katcha. It looks nice to see the water fall from such a height. It appears as if the spring is dashing against the rocky walls fomenting white rays. One feels as if he is enjoying shower bath under the sun. Nights are lull with magical effect. It is a beautiful water fall at the distance of 6 kms. on the west of Chatra on way to Maloodah. Up to 4.5 kms. it can be reached by jeep and the rest 1.5 kms. can be tracked on foot. The water falls in the reservoir from the height of 30 ft. On all the three sides there are rocks and in middle there is a reservoir On each Monday during the month of Shrawan (rains) people flock here in multitudes, take a dip and enjoy jumping in the fall. It is the nearest picnic spot of Chatra District. Thus the whole of the district of Chatra is full of rocks and ravine, fountain and flora, deep & dense forest, birds on wings with sweet song’ nature smiling at dawn & dusk to look at the crimson colour round the horizon, offering silent but forceful invitation to the lovers of nature to stand and stare at the natural & eternal beauty of Chatra. The ruins of old Kunda palace are still found at a distance of about three- four miles from the present Kunda Village. The place might have been created either towards the end of 17th or beginning of the 18th century AD. The walls are still standing though in a very much dilapidated condition, Still attracting a large number of visitors from out side. But the main centre of attraction for the illiterate public of places far and near is a Cave situated at a distance of about half a mile from the remains of the old Palace probably dug shortly after the building of the Palace. A narrow path runs downwards from the southern portion of the palace and leads to the cave. A shallow stream , which can be crossed without letting the feet touch the water surface, washes the brace of the cave. The cave is a hollow made at the base of a part of the hill, not so high. The entrance into the cave is very narrow and one cannot get inside without contracting one’s body and bending one’s head. There is a central hall inside the cave, not so high. To enable one stand erect, often used by visitors as resting floor. The small hollows connected with their only passage with this central hall, are completely dark. A big Shivling is installed just at the middle of one of the hollows. The other one was used , people say, by a hermit who lived there some fifty years ago, as the sleeping room. On the 14th of Phalgun a large number of people come to offer holy water to lord Shiva. They sing holy songs and seasonal ones accompanied by musical instruments. Inside the central room of the cave some thing has been written by carving over the walls not very indistinct though one cannot decipher it. It is ‘Dah’ or water reservoir on the bank of river Niranjana(Lilajan) at the distance of 11 kms . from Chatra in west. The road up to 5 kms. is motorable and the rest 6 kms. is a foot track. It is lovely to look at the water fall foaming snow-white showers with musical tone inviting the lover of nature to have solace in the lap of nature. Due to inaccessibility this nice picnic spot has become adventurous . It is also known as Balbal Duari situated at the distance of 35 kms in the East of Chatra district on Gidhaur -Katkam Sandi Road. It can be reached from Hazaribagh also. The road is motor able and one can visit this directly form Chatra. During rainy season it is difficult to travel but it is pleasant in winter and summer. There is a hot spring in the bed of river Balbal near the village i.e. 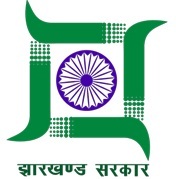 Duari. The water is supposed to have curative effect on skin diseases. As in Rajgir here people flock to have hot bath for obtaining remedial effect .In the same way on Makar- Sankranti people gather here in a large number to have a holy dip. The sight is also charming & delightful. A beautiful picnic spot situated at a distance of 8 kms. from Chatra town on the North-west portion. The road is motor able and the rest to be covered on foot. This water fall is in three parts, between two hill rocks. The denuded rocks present an excellent scenic beauty.